TRI and you will succeed! While 2011 was a year of many firsts for me (meaning my 1st time racing a duathlon, openwater triathlon, 15krun, half marathon) I had SO much fun at these new events that I decided to do them all again this year and so far I've improved my times on the Du, the Forks 15, the Bridge Run and my goal was to try to better my time in the swim for the triathon this year. I talked my husband into also registering for the triathlon a month in advance, which was a big help, so now we both had each other to motivate into training. We signed up for the weekly open water swims (OWS) with the triathlon club. 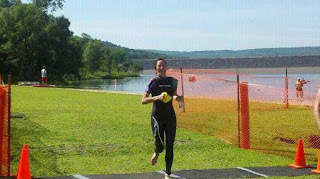 (Already a step in the right direction since last year, I only got into the water twice before I did the triathlon!) The OWS practices were a huge help as it gave us a feel for what it would be like on race day swimming with other people running into each other and dealing with waves and sighting the boueys. As co-VP of the TVC time trials, I also scheduled a few time trials on the bike course so we had some practice on the course already and knew what gears to be in and where I could make up time pedaling high cadense in the hardest gear on the downhills & flats where many triathletes are coasting. I was very excited to have my teammates- Dana Cooreman, Kelley Hamlin, Heather Ludwig, and Tiffany Grygus racing along with me and also to have our injured mates- Ariana Rife and Sue Foster there cheering us on. We arrived over an hour early to find most everyone already there and quickly fililng up the transition area, we hurried and found spots in the bike racks and started pulling out the necessary items, wetsuit, goggles, helmets, sneakers...then Pat tells me my cycling shoes are missing. How could that be!? I always keep 2 pair of shoes in the van and have NEVER forgotten shoes! He tells me I have an hour, plenty of time to go back home for them. I speed home, grab my 3rd pair that are always ready and waiting in the garage and made it back with 10 minutes to spare! I still had to get my wetsuit on and cap and goggles! By now, I am a total mess, trying to pin my number on because I couldn't find my race belt in the messy van from throwing things around looking for the shoes. I see my wonderful teammates who give me much needed hugs and support and encouragement and some words of advice from Shirley Elliott, what a super woman she is, so calming and friendly and understanding. I get all ready, head to beach and find out they are starting the women 3 minutes after the men take off YAY! Less bodies to navigate through! Ready Set Go, we all enter the water, .....now , I'm NOT a swimmer, I went to high school with no pool, I grew on a farm, we didn't take vacations, no pool, no beach. Last year I ended up doing a variety of swim strokes and spent half the time on my back in the water recovering and breathing. This year, I stuck to what I did best, side stroke, that way I could breathe anytime and not panic. I felt so relaxed, I finished the swim 3 minutes faster than last year! Had a slower transition this year, I think next year, I will skip the socks and gloves! My bike time is always fun, since I'm so slow swimming, I start behind many, many people on the bike and since the bike is my strength, I get to pass many, many people :) This makes it a little challenging though as there is no drafting and the course is open to traffic and there is a tricky turnaround on a fast downhill, so I had to slow down to avoid drafting some riders nearing the turnaround and wait for traffic to go by before passing. 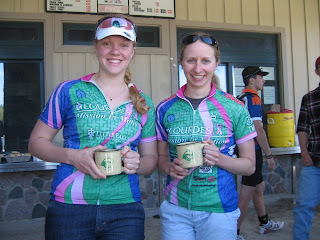 Overall , I was pleased with my bike time since it was the 2nd fastest women's bike time, and very pleased that the fastest time was by my teammate, Dana! Awesome ride Dana! The run portion of the triathlon is the hardest, the sun was blazing, we have to climb a very steep grassy dam at the end of the reservoir and run the distance of the dam in no shade, it was hard! Congratulations to everyone, there were 173 finishers! and super congrats to my teammates! Congrats also to the guys in our group! Mike Grygus- 1st overall ! Way to go! As they say: ya win some, ya lose some. 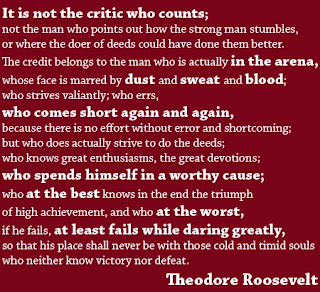 This Saturday at The Empire Classic in windy Boston, NY, I was reminded of this. The 7 mile circuit course had a short, steep wall about 3 miles in and wow - I wasn't prepared for the climb! We did drive the course beforehand, but I didn't have to time to ride it in my warm up and just couldn't hold on. But let's back up! Chris and I drove to Buffalo this weekend to see his sister, some music, and do this road race. Chris is ever hopeful for upgrade points and I just figured it'd be a fun race to do - because aren't circuit races fun?! We arrived at our hotel the night before the race and jetted up to the Erie Canal Harbor for the Grace Potter and the Nocturnals show. Now, don't be scolding me for going out on a race night. I've already scolded myself! No, but truly we were home before 11 and in bed soon after. It could've been worse. Ehh... wait, dinner was probably not the best but we didn't have great options. Next time we'll plan better! And we have about 32 miles to go. SWEET. In terms of my athletic endeavors, I think my greatest success recently is that mentally I have grown. In high school and even in college I may have crumbled in this situation. I mean, in what world is it fun to "race" for 32 mostly windy miles alone? Not many worlds. So what I told myself from this point on is that I would TT and concentrate on getting the time and miles in. Make the best of it, I told myself. Grin and bear it. Take comfort in the fact that there aren't that many people here to watch the race and they probably won't know what position I'm in because it's a circuit race. And even if they can tell that I'm in last - who cares? I'm riding, they are not. Therefore, I am winning! It's easy to think "I could've stayed home on the couch! ", but I'm glad I didn't. One lap finished, then two. I see a rider ahead at the start of lap three. I decide maybe it'll be possible to reach him and have a riding buddy. By a stroke of luck I was able to catch him by the wall and shouted, "Hey, this would be a lot more fun if we rode together!" He turned around and happily agreed to slow for a second to allow me to jump on. Together we took turns pulling around the course and it was indeed more fun with a partner. So, thanks to my racing friend for the ride! He finished at four laps and I kept on trucking for our fifth lap. By then it didn't hurt so badly, maybe. Okay, the hill still hurt pretty badly, but at least I knew what gear to be in and how long I could stand and grind and so on. I finished the race and got in a bit more cool down before calling it a day. In the end I succeeded in completing a good training ride and finishing the race. I like to think I lost elegantly! 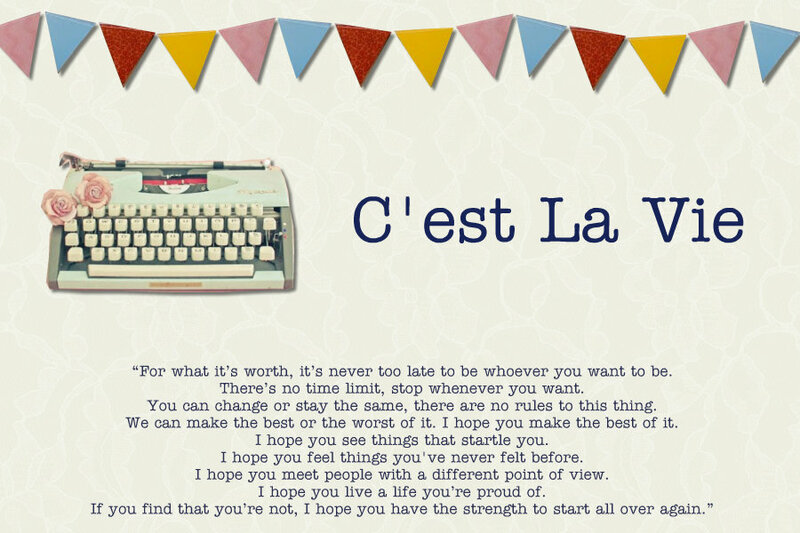 Recently I read the quote below and was inspired. As a good friend told me, life is about the ride, not just the finish line! 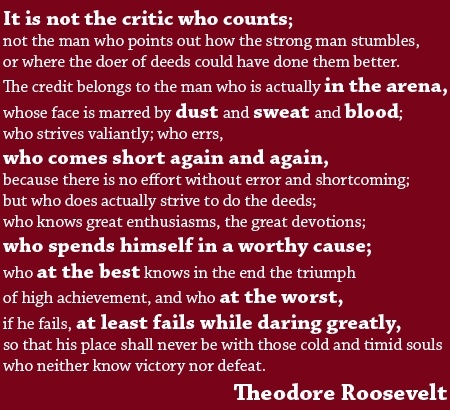 The credit belongs to the man (or woman) in the arena. Congrats to the other women! Congrats to Chris Jones of Team RUUD on his 6th place finish in the Cat 4 men's field. Read about his race on the RUUD website. 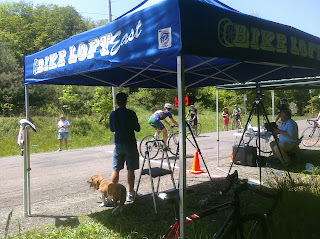 Congrats to Andrew Williams on gutting it out in the P123 race - 70 miles of fun! - and on his podium finish in the TT on Sunday. To all my other Mission in Motion ladies: maybe next year I'll stay home for the BC triathlon! Looks like you ladies had a blast. I'm psyched to read race reports and see photos! It was a beautiful, sunny (HOT! ), day. The course took us down by the lake and then up in to the farmland and definitely had its' fair share of hills. 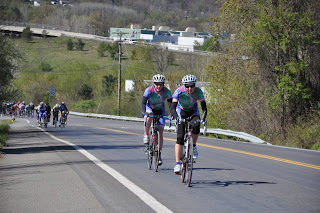 It was fun for me to be part of the peleton for the first time as we cruised along the lake. The field spread out quickly as the first hill hit. Everyone had a great race. The food from the wagon at the base of Song Mountain was an excellent post-race treat! Mission in Motion ladies Du the Lakes! On Saturday May 12 six Mission in Motion ladies competed in the Du the Lakes Duathlon in Fayetteville, NY. Many of them competed in the event last year, so this was a great race to aim for improved times and personal records. 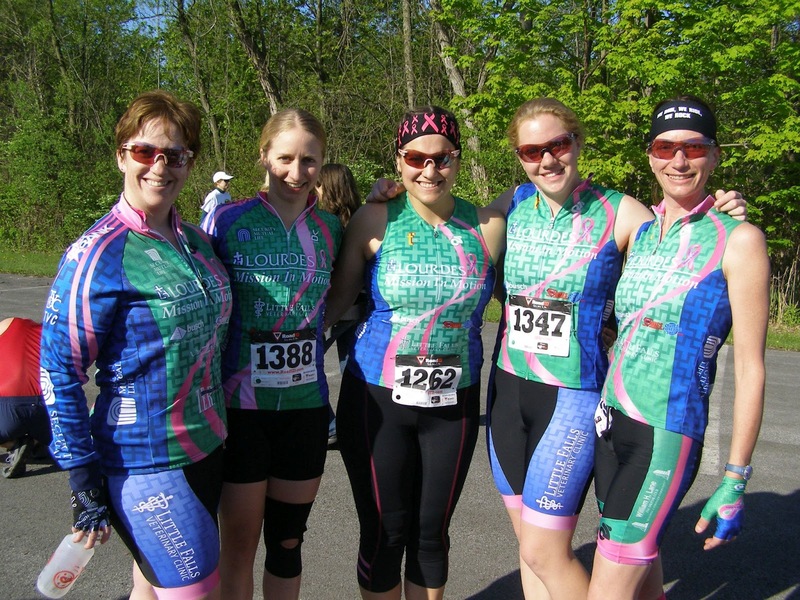 Angela, Dana, Tiffany, Delana, and Marsha before the start of the Du the Lakes Duathlon! The course begins with a flat 3 mile trail run, followed by a 20 mile time trial (with a challenging finish climb), and ends with a repeat of the 3 mile trail run. Sounds simple, right? Well I challenge you to whiz through that second run without hurting a bit! Ouch. But we all made it through! Delana coming to the transition area! Congratulations to Dana, Delana, Marsha, Tiffany, Angela and Stacey (competing as the Mission in Motion team!) for braving the long race on the warm spring day. Each of the ladies who competed last year were able to see improvement! Tiffany, Marsha, and Delana each improved their times from last year considerably. Congrats to the MIM duo of Angela and Stacey on their team finish! 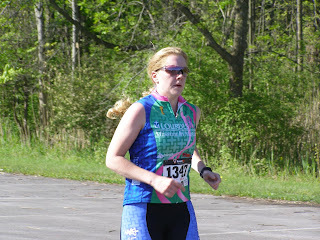 And a big congratulations to Dana Cooremen who had a great second place finish in her age group in her debut duathlon! I was able to squeak by as the third place in the 25-29 age group. Delana and Dana, 3rd and 2nd in their age group! Congratulations to all of the finishers. Great job to Chris Jones of the RUUD Racing Team! He won his age group and took 9th over all. We cannot wait to Du the Lakes again next year! 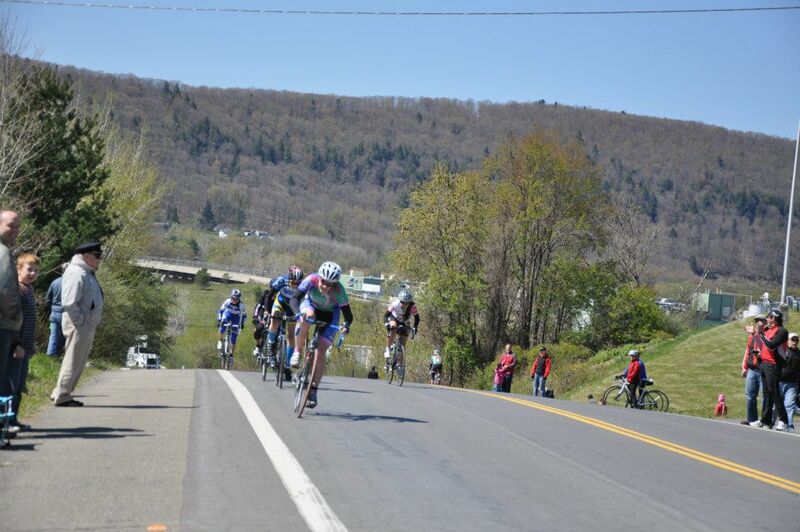 Binghamton Circuit Race - A good day for Mission in Motion, past and present! 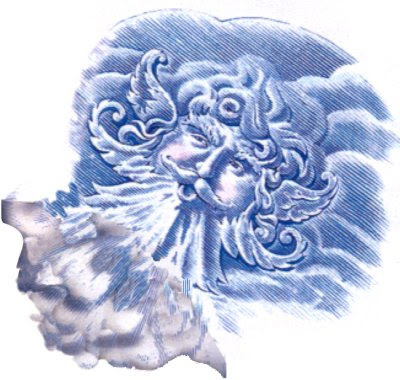 The weather at BCR has typically been rainy and cold. This year we were pleasantly surprised to see clear skies and even some sun rays shining down on us the morning of the race! The winds were brutal at times, but the Women's Cat 4 race was lucky enough to have relatively calm skies. A great way to start a big day of racing for Mission in Motion! We lined up at the start. WOW - 9 Mission in Motion racers lined up with several teammates present to volunteer at the local event and cheer us on. What a showing! Ariana, Tiff, Elizabeth, Delana, Jen, Jackie, Angela, and Dana at BCR! Before we knew it we were lined up and Jef yelled "GO!". The Corning women promptly took off. I scooted in behind them, standing and pushing hard to be sure I was present as we made it to the top of the decent. It worked and I managed to hang on to their surge and be part of the first group as we whipped down the hill. 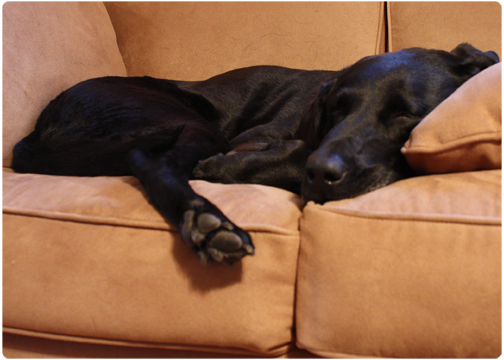 After a lap of pushing, I didn't quite have enough to stick with Dana and I sat up to re-join the pack. I kept quiet and sat in to the group of about 7 women, happy to let them do some work into the wind. As we continued around the Singer loop I still really didn't know what to expect. Eventually I realized that Dana would most definitely be able to keep her lead as long as something crazy didn't happen. We can up to Jackie and she was really supportive - she said that she had high hopes for my finish! Really, my finish? She believed that I could place in this race against women who I know are soon-to-be Cat 3's? I decided at that point that I'd surely do my best to do her proud on our home course. With all those MIM kits on the course, the other racers couldn't tell where anyone was and Dana was able to hold everyone off! Dana took the big WIN overall - way to ride, Dana! She'll surely have an upgrade this year! Meanwhile, the pack pulled around to the hill on the final lap and I positioned myself toward the middle of the pack on the outside. I knew this hill - I ride it all the time! I knew how long it takes, I knew how much it hurts but how quickly it's over. Quickly we were at the base of the hill, and then moving up it. Tami made her move and there are a few reactions from the group. I left a myself a lot of gear and I stood to start hammering up the hill. Around a few women I moved, and suddenly it's just me and Tami! She moved quickly ahead of me, but I'm moved quickly too! No one passed me! I don't hear anyone behind me anymore, just cheers from the crowd! I saw Marsha and Heather on the sidelines, and I pushed harder. I made it over the line before the other women in the group, good for third over all. 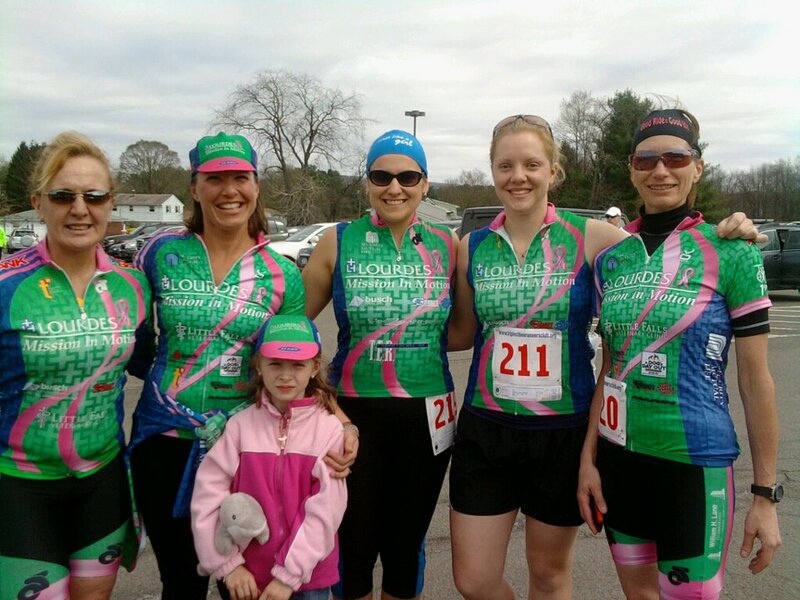 All together and great race for the MIM ladies past and present! Congratulations to all of the racers and thanks so much to the volunteers! Thanks to Kathleen for the great photos of the race! Thanks to the Corning women for being such great competitors and teammates throughout the years. We look forward to continuing to grow and excel with all of our new racers and riders this year. 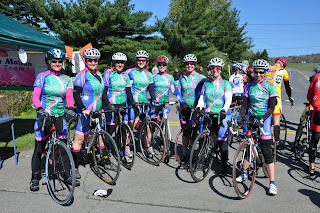 Keep and eye out for the pink and green kits at all the local races throughout the season. Delana, Dana, Tami - a MIM (past and present) podium! Check out complete results at the USAC website. 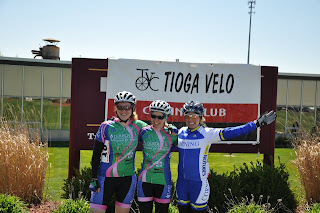 Thanks to the for Tioga Velo Club for hosting such a great race and to the weather gods for cooperating! Congrats to all of the other local finishers. Several of the RUUD Racing Team men had wins and top-ten finishes. 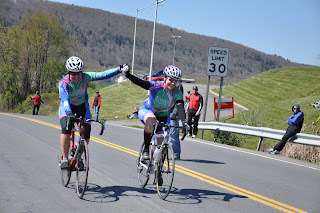 Quite a day for Southern Tier cyclists! What a rush!!! I'm not an early bird at all, so naturally I'm running a little late the morning of the race. Uniform.....check. Shoes and helmet......check. Bike......check. Baked goods.....check. So, I'm off to Binghamton. Ten minutes down the road, I realize I forgot my cycling license!! Debating whether to turn around or not as I'm already late, I decide to go back and get it. Speeding down the highway my heart rate probably is in the 130's already and I'm worrying about getting there in time. It's the longest hour and half of my life. Finally, we make it with about 30-40 minutes to spare. Barely enough time to get ready and get somewhat of a warm-up in! The race starts and Tami, now a racer for Corning, takes off in a crazy sprint and I'm struggling to get into my pedal before everyone takes off down the hill. I manage to get in and pedal like mad to catch back onto the lead group. The group comes to the hill and everyone seems to be playing a bit, seeing what everyone else has got as far as climbing ability since the race will likely be won on the hill. Riders are shuffling around as we do a few laps. Coming across the finish area a bell rings on the third lap or so. I'm thinking, "what was that? It's not the last lap already!" I forget about it until we approach the hill again and it dawns on me - it's for a prime! I figure what the heck, I'll go for it! Sprinting to the finish line, Delana challenges me and I barely get it. It was so close I had to find out afterward who actually won it. We come together and I take a glance back and notice we have a decent gap on the rest of the field. We work together for the next lap and try to increase our lead. Back at the hill again, I charge up as best I can and realize I'm alone and Delana is back with the rest of the group. I get a bit of a sick feeling in my stomach. All week, I was thinking about attempting an attack with maybe 2 or 4 laps to go depending on how the race was going and if I felt good, but now I'm alone with 8 laps or so to go! Still not having a ton of racing experience or confidence, especially at the front, I debate what to do. I decide to just go as hard as I can and attempt to hold everyone else off for as long as I can. I'll wait and see if I have anything left when they catch me and maybe I can draft a bit again and rest until the final lap, but at least either way I'll get in a great day of training. Round and round I go and with two laps to go, I think, "wow, maybe I can actually pull this off?!?!" My thighs are burning and every time I climb that hill it gets harder and harder and I'm using easier gears. Finally, last lap and I win! My first road race win! Soon after I turn around to see the rest of the field coming and sprinting up the hill. Next, comes Tami and then Delana! Woo hoo.... two MIM racers on the podium! I'm totally elated and what a rush! 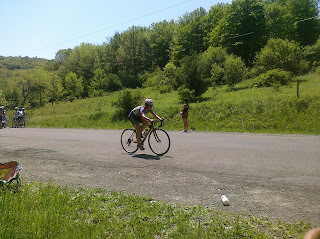 Later, talking to Delana, I find out that some of the riders didn't even know I was out front until a couple laps to go! Good thing or the field would have been able to organize and catch me! A BIG thank you to Delana, for not working in the paceline they did try to form! Overall, it was a great experience and I couldn't have asked for a better day with so many MIM riders there racing and helping out for the day. Great job everyone! What a great team we have and it was so nice to have everybody there to help Delana and I celebrate afterward! Special thanks to Marsha and the rest of her crew for organizing such a fun event! Battenkill or Battered and Killed???? Epic. Grueling. Carnage. Survival. These are just a few of the words I can use to describe this race. I think it is just one of those things you need to experience to fully understand. A 62 mile race on dirt roads with killer hills in April......What was I thinking?!?!?! Apparently I completely forgot how hard it was last year. I was a little more prepared than last year though since Coach Tim made me do hill repeats, but this didn't seem to make the race any easier! The race started and all I could think about was getting near the safety of the front of the peloton by the time we reached the narrow, dark covered bridge. We went out at a fast, but still fairly comfortable pace. Girls were changing positions every where trying to move to the front. Seemed everyone had the same plan I did. By the time we got to the bridge, I was a little farther back than I would have preferred, but made it over the bridge safely and onto the first dirt stretch. The pace was picking up as we continued to scramble for position before the next break up point - the 19% grade Juniper Swamp Hill. Unfortunately, I am still not aggressive enough to hold my position and ended up at the back of the peloton by the time we got to Juniper. It is a grueling climb on dirt, probably the steepest on the course. I gained a couple positions, but not enough to stay with the leaders. They took off down the hill and I was left with about 8 other girls. The gap was small and we tried to get a paceline going to catch back on. This proved difficult to do as some of the girls either didn't know how to paceline, some just didn't seem to want to work, and I'm guessing others had teammates in the lead group so they were forbidden to work. It was so frustrating since I knew I couldn't catch them alone. At least I had people to ride with and block some wind for me though. We continued onto a flat road section and wheels clattered in front of me. A girl flew into a ditch. Again I thought, "why am I doing this?" This was the first crash I had ever witnessed in a road race. I wondered what happened since it seemed to be a innocent area. My goal for the race quickly turned to survival and we had not even reached the sandy sections yet. Somewhere between the two feed zones it sneaked up on us.....the dreaded sand resulting in complete carnage. Racers unable to handle the sand were going down every where. Forget about going in a straight line. Also, at this point, we were starting to pick up stragglers from other races which made for more bodies on the road. Somehow through each section, I managed to make it through the sand with the rubber side down. Although, I had a few close calls with other riders coming at me. I guess I have more skills from cross than I thought! At mile 48, we reached the second feed zone and I was still with some of my group minus a few who dropped off. I only had about 4 oz of Gu Brew left. Thank goodness for one of my cross buds, Dave Beals, for agreeing to be in the feed zone and re-supplying me with more Brew. It was just at the right time since my calves were starting to cramp. More sand and hills came after the feed zone and my group shattered apart. My last 10 miles were spent alone and again I thought about just surviving this race. I was exhausted and could no longer get out of the saddle to climb. Spinning in my easiest gear I climbed the last of multi-mile long hills. Finally, the home stretch.....I looked at my Garmin and it said 3:30 just before crossing the finish line. 20 minutes faster than last year and no incident. Then I remembered why I race. This race is epic. I was most definitely "battered," but thankfully not "killed." See you again next year Battenkill! P.S. As I got ready to leave for the day and I bumped into Marsha and heard about Kathleen's accident. My heart sank, but luckily was told in time she would be fine. Heal fast Kathleen! Wow! 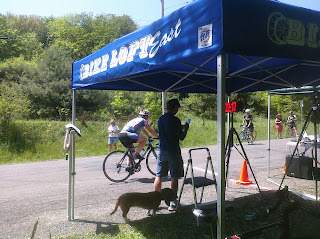 My first road race and my first bike crash all in one—talk about getting schooled! It was such a beautiful day—perfect. 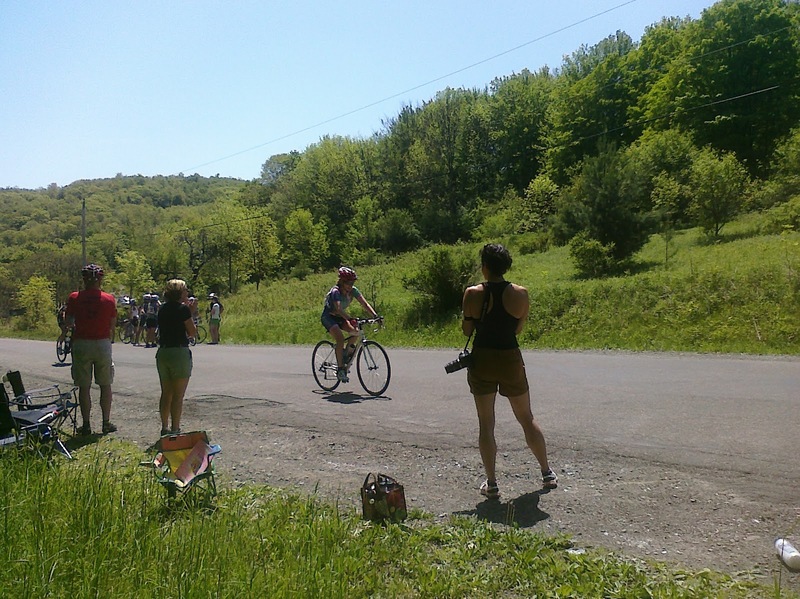 I was with Kathleen and Barb in the last group to go at 2:40 and we had just gotten out of the 1k neutral mode when somebody crashed right in front of us. I thought I was going down too—it was a lot of scary braking and swerving around girls on the ground—and I didn’t crash by sheer luck. When I finally stopped I saw Kathleen over on the side of the rode, up on the hill, flat on her back (one medic said she won the prize for longest hang time!). She was conscious and talking but not moving, with bad pain in her head and neck. Her husband had just finished his race and was parked right next to my husband in the main parking lot so I was able to get him on the phone and he got over to Kathleen before the ambulance got there. There were about seven other women down in the road and there was lots of blood, moaning and crying. (One of the medics told me that my cortisol levels would be as high as if I had actually raced.) Three of the riders were taken away by ambulance (including Kathleen) and the rest went to the field hospital. Kathleen was a total trooper. She talked and was in good spirits the whole time as they put her in the ambulance. She even joked about what the emergency room staff would think the smushed Snickers bites were in the pockets of her jersey! Anyway, she got out of the hospital later that evening with only a sprained neck and no concussion, so that’s great news. And she was already talking about being at the BCR. I’m really disappointed we didn’t get to race (I had 3.8miles on my odometerL) and, I have to say, I’m feeling a little gun shy about getting in a group again. But I’m already thinking about next year’s Battenkill…it was so beautiful and the set-up was so friendly and professional. Also, the responding medics were dynamite. Hope not to need them again. 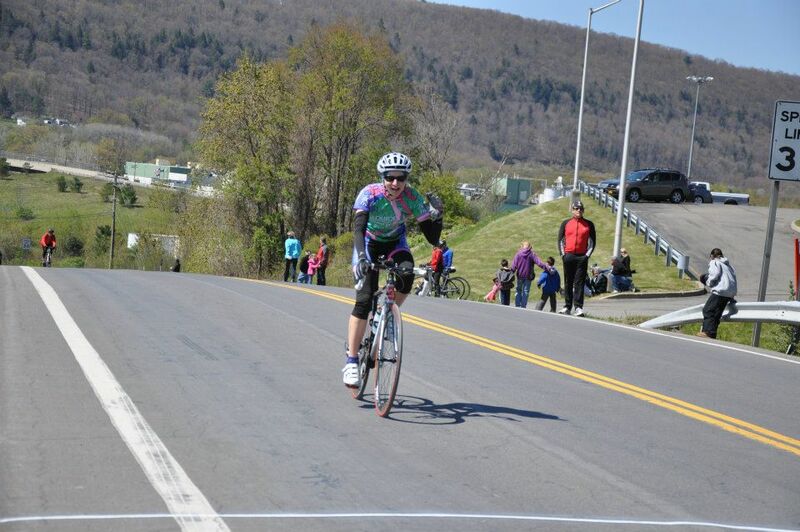 On a positive note, Barb was able to miss the crash completely and finish the race triumphantly for all of us! As an aside, the future of Upstate NY racing had a chance to "Ride with the Pros" on Friday night. My seven year old got the experience of leading out the peleton. My five year old didn't realize that he is any smaller than this guy (and thinks there is really a chance to beat a pro!). That's all the news from me from Battenkill! Now, I know all of you MIM ladies who went to Battenkill will have big stories to tell (and I'm eager to hear them! ), but I just wanted to share the story of my little training weekend as well. I have been excited for this weekend of no commitments for a while, and we really made the most of it I think! On Saturday morning, I got up at 7:30 and successfully did some school work while drinking my cup of coffee. By 9:30 we were at the Conklin Weis parking lot, ready to go out on our long ride. At the start, there was only lonely MIM gal (me!) and 6 RUUD guys. If I made it through the ride without a bonk, I told myself, I would be successful. 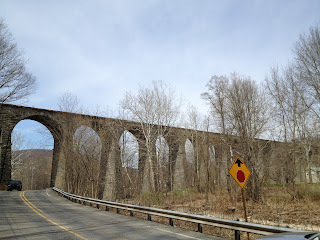 We started out at an easy conversation pace and made out way to PA. Just over the border we made our way down what would eventually be a long stretch of dirt road. We lost a few guys at this point -- I guess they didn't want to spend their entire Saturday on the bike! -- but we were lucky to have some great sunshine during those few miles of dirt road. Onward we went, enjoying the sunshine and relatively flat terrain. Our ultimate destination was the Skoloff Vally Farm in Susquehanna, PA. We did indeed make it, with only a 10 mile trip out of the way beforehand. Chris and I will have a share from the farm this year, so we were eager to check it out! After we passed the farm we hit the largest climb of our day, but we all made it up the dirt hill in one piece. We later found on Strava that the Buchanan Rd. climb is a Category 3 climb! 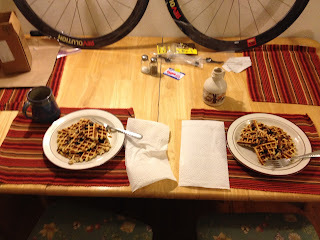 On Sunday morning we started our day with some Primal Waffles, eggs, and bacon. We may have even had a crisp glass of bubbly to go with them! Yum! Below is a photo of the first batch of Primal Waffles we had a few weeks ago - super tasty. Add some local maple syrup and you have quite a breakfast! 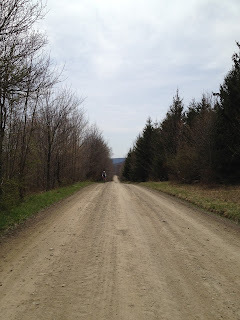 And finally, this afternoon we headed to Chenango Valley State Park for a long run. We explored some new trails and enjoyed a mild, rain free afternoon in the woods. Chris sported his Vibram Five Finger shoes for the entire run with no foot pain. We ended our run after one hour and thirty minutes, making that our longest run of the season so far as well. Phew. 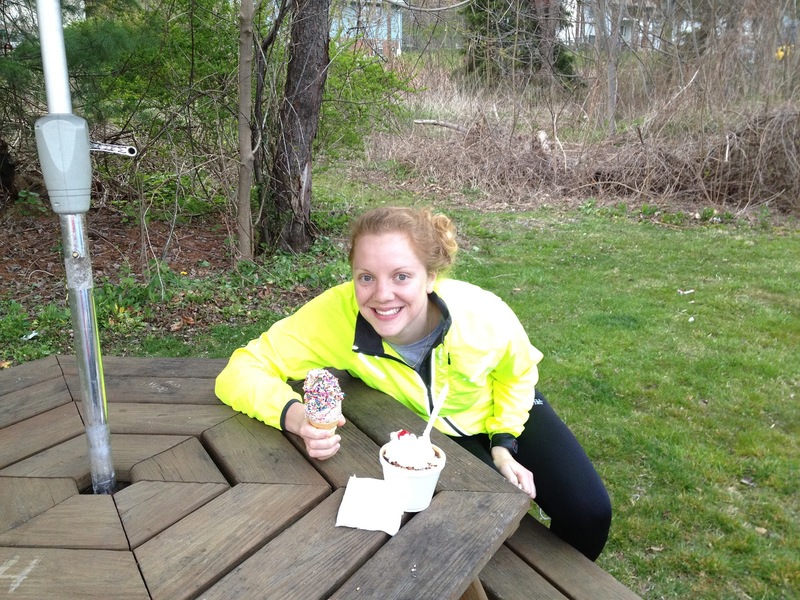 We enjoyed our first ice cream of the season after our run. I ordered my favorite, a twist with rainbow sprinkles. Some things never change! The wind....Brutal, The temperature....Cold, And it's not Rt 38 unless a rider flats. 11 riders came out to ride, Mark Rando happened to be the victim of the Rt 38 flat tire tonight ending his ride during the warm up, so he stayed to assist Norm & Angela with timing. Thank you Angela, Norm and Mark for taking care of sign in, start order, and results! April 1st Training Clinic a success! 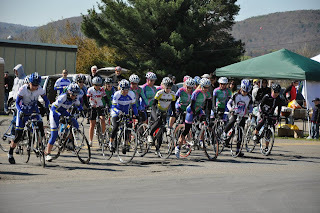 On Sunday, April 1st, the Mission in Motion team hosted a beginners road racing training clinic open to any new riders! Although the cold weather and threat of rain kept many riders away, we can 14 excited new people come to learn from 6 riding instructors which worked out well as we instructors were able to ride along with 2 riders and give them some good attention while showing them the basic skills for riding in groups, how to properly draft and not overlap wheels, keeping control of your bike while reaching for your water bottle or looking around, taking corners.....it was a great day and we look forward to seeing these riders come out to try racing with their local clubs! Thanks to Mike Grygus, Mike Jones, Vanessa McCaffery, Pat & Marsha Kapinus, Charlsie Donnelly and Jackie Hendrickson for taking the time to come out and share their experience with the group! Thank you to NYSBRA for covering the USAC fees and refreshments! First official training race of the season at Kirkwood Industrial Park! We had 10 women ( Jackie, Marsha, Jennifer, Angela, Elizabeth, Tami, Holly, Karen, Heather & Tiffany) We had a nice little training clinic prior to the race to help the newer racers become adjusted to riding in a group and how to paceline (thanks to Andrew for taking the time to explain the skills as Jackie and I demonstrated). After we were all warmed up, and received the intro race talk, the women started with the B men's group and stayed together for the first several laps to give everyone a nice feel of what it's like to ride and paceline with a good size group. Midway through the race, Jackie and Marsha decided to test their legs (and the B men) and had a fun time racing to the finish where Jackie took the win for the women (and 3rd place among the men!) Many thanks to Tami Lewis who stayed with the newer riders to give them some more racing tips! Hope to see you all at the Thursday night Time trials as well! Well, all the Mission in Motion ladies who came out to run the 39th annual Forks 15k road race in Chenango Forks last Sunday finished in one piece! Congrats to Marsha, Tiffany, and Delana on their finishes this year! Each of them met their early season running goal. Now they're all looking toward the Binghamton Bridge Run Half Marathon next month! We look forward to seeing all of you at the clinic this Sunday at 1pm! Sue, Jackie, Tiffany, Delana, Marsha and Veda in front at the Forks 15k road race, 2012! We had a great training ride today with 9 Mission in Motion riders plus our ride-along mechanic from Ruud Racing, Patrick. 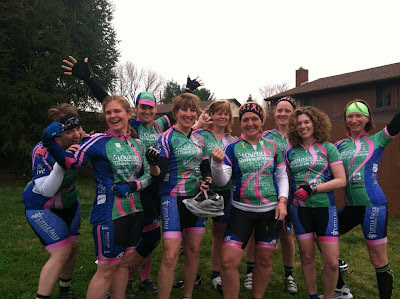 We received our brand new VOMAX uniforms this week and many of us had them in time to wear them for today's ride. They are so comfortable and light! 3 of our brand new riders were able to join us today and practiced hill climbing, pacelining, and some general riding tips from our more experienced riders. 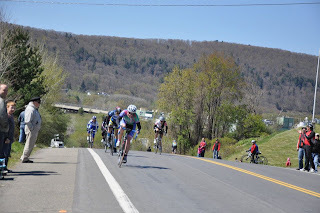 Next Sunday, April 1st, we will be hosting a beginners riding clinic at Chenango Valley State Park at 10am, come join us to learn some helpful tips riding and racing in groups. See you there! Well, the races seasons are getting underway! 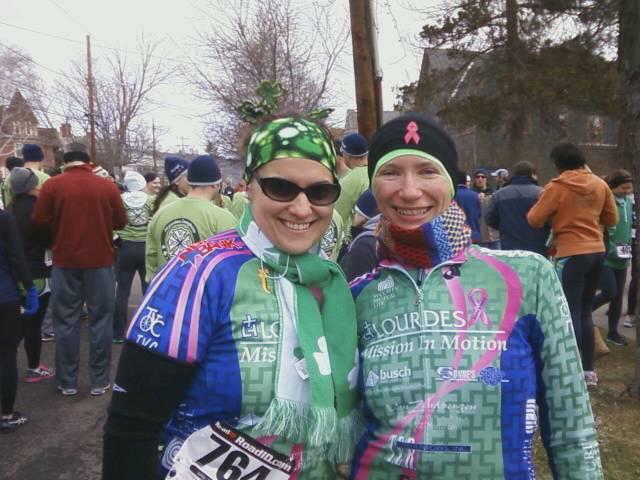 Two weeks ago, a few ladies laced up their sneakers and ran the St. Pat's 4-miler in Binghamton. Great job Marsha and Tiffany! We hear that a few personal bests were achieved! This Sunday some MIM-ers plan to run the Forks 15k road race. Come join Marsha, Tiffany, Jackie, Steph, and Delana for some fun on March 25th at 2pm! By that time in the afternoon the sun is sure to come out - right? Check out the run on the Triple Cities Runner's Club website: http://triplecitiesrunnersclub.org/. Don't forget to sign up for the Beginner & Intermediate Road Racing Skills Clinic on April 1st! Here's the link: https://www.bikereg.com/Net/15633. This clinic is ideal for recreational riders or triathletes (ages 10 and up) who want to gain the skills and confidence you need to ride and race in a group! We'll cover all aspects of bike fit, pre-ride safety check, group riding strategies, technique and more. You will need to bring your bike, your helmet, proper clothing, and if you are age 10-18, a parent must be present for the entire course. 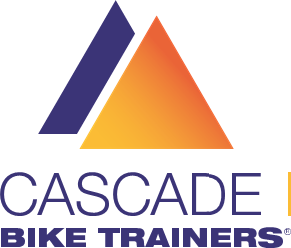 The program is geared towards preparing you to join your local USAC road cycling club, and preparing for a road race, but is also a great learning experience on its own. This is a great way to make sure you have the basics down so you can make the most of your experience riding with a group, club, or race team. Our main instructor is Mike Jones, a former USA Cycling Pro rider of the Heathnet team. We will also have several experienced local racers including Vanessa McCaffery & Mike Grygus who will ride along with the groups, answer any questions you may have and give their advice to each rider. 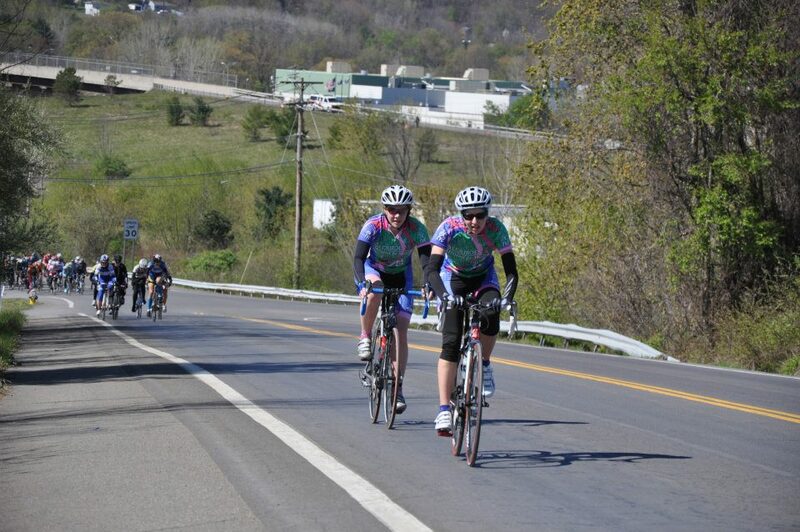 Clinic begins at 10am followed by a group practice ride within the roads of Chenango Valley State Park. snacks and drinks provided, please dress appropiately for riding outdoors, bring your bike, helmet and water bottle! 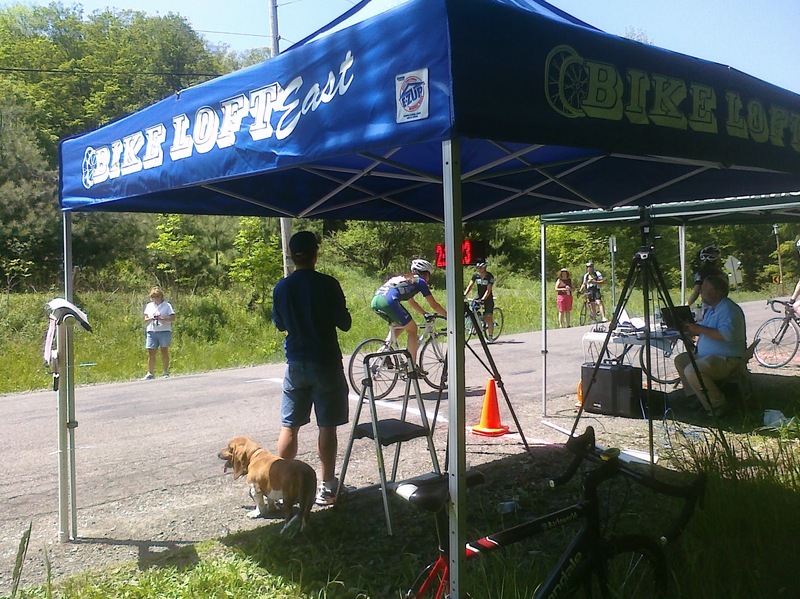 This event supported by a grant from the New York State Bicycle Racing Association (NYSBRA). Can't wait for cycling season? Pre-reg now for one of our first local races, Check Your Legs! Here's the link to registration: https://www.bikereg.com/Net/15447. Many MIM'ers will be racing with our friends in Garrattsville on Saturday, April 21st. 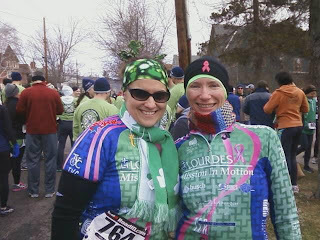 Tiffany and Marsha at the 2012 St. Pat's 4-miler! 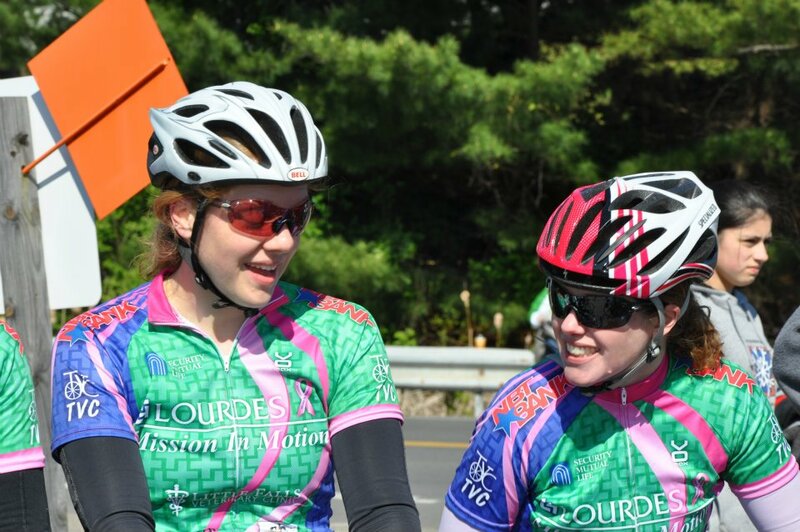 Check your calendars to see if you're able to meet us for a training ride this Friday at 4:30! We're going to leave from the parking area by the Port Crane exit where the TVC 369 courses start and then ride the 369 road race course. It will be about a 25 mile ride or about 2 hours, whichever comes first. We plan to ride at a relaxed pace to get some good training miles in during this lovely week. Let's see if we can have a good group! Here's a link to the course: http://www.mapmyride.com/routes/view/2374354. Directions: 81 North to 88 East, get off at Exit 3 for Port Crane. Turn left at light and you will see small Park & Ride parking lot on left just down the road. Let me know if you have any questions or need more direction. So far Marsha, Stephanie, and I are planning to ride. Hope to see you soon! If you cannot make this ride, I hope you are able to get out some other time this week!! Marsha, Jackie, and Delana on the Rt 369 course during Spring 2011 training! 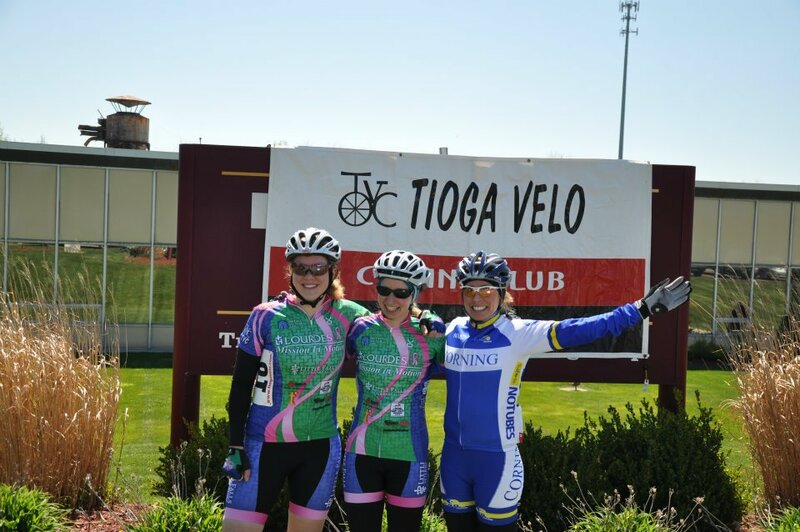 Hi everyone, Just a quick reminder that tonight is the Tioga Velo Club annual meeting. We will have membership forms available, and pizza for socializing before getting down to business at 6:30. We will discuss the calendar of events/races for this year. Hope to see you there! 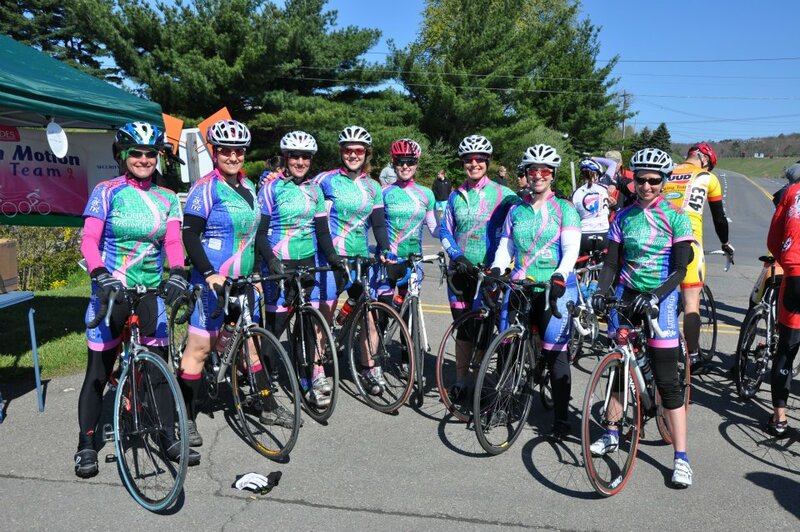 Welcome to the Mission in Motion Cycling Team's blog! We hope to use this space to post race write ups and reports; ideas about training, races, strategies; and how we're making ourselves known around our community. 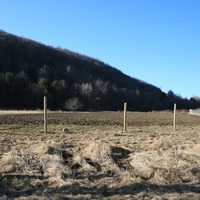 Get ready for a big Spring 2012 season! We're excited!